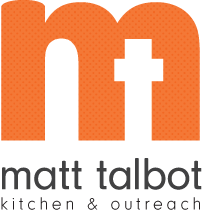 Matt Talbot Kitchen & Outreach (MTKO) is in immediate need for items to stock their emergency food pantry. Canned meats such as tuna and chicken, rice, pasta, pasta sauce, macaroni & cheese, other boxed meals, tuna helper, soup, powdered milk, pancake mix & syrup, cereal bars, and canned fruit are especially needed. For many clients, the emergency food pantry (or box) is the only food in the home until the next pay check. Every effort is made to provide a box or bag of food that includes the makings of a complete meal for multiple days. Currently the shelves in the pantry are bare in many areas and we are not able to put together a complete food pantry for those seeking assistance. Donations may be dropped of at Matt Talbot Kitchen & Outreach, 2121 North 27th Street, Lincoln, NE Monday through Friday between 8:30 am – 6:30 pm, except on Thursdays when MTKO is closed from 1 – 5 pm for street outreach and team meetings. Monetary donations to purchase food items can also be mailed to PO Box 80935, Lincoln, NE 68501 or made on-line at mtkserves.org. No support is too large or too small to DO BIG GOOD.